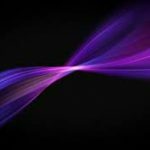 The most common question that I get asked is that what to do when Reiki does not flow through your hands? Frankly, the question is quite invalid as there is not situattion as reiki does not flow through hands. Once you are attuned, Reiki works through you whole of your life. 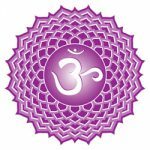 You become a reiki channel, through which reiki energy channels and cosmic energy can be directed by the Reiki Practitioner. Then why it is so that many of us complain of absence of Reiki into their hands. Reiki is a subtle energy and you need to be really focused on it tot realsize its force in the beginning. Once you are used to it, automatically you can channel enough energy from your hands. Our palms have several subtle chakras on the tip and palm area. When you practice Reiki regularly the subtle charas get cleansed and release more energy through them. If you don’t practice for a long time, you tend to lose the feel of Reiki, though you never lose the Reiki itself. the sutle chakras on your palms slowly get blocked. As a result, you may feel that Reiki is not flowing from your hands. One most important principal of Reiki is that more you practice it , more you feel the flow in your palms. What sensatons do you get while practicing it ? Some may feel warmth, cold, tingling sensation in their palms and if you don’t feel ata lll that’s alright too! As you practice more , you are going to feel more vibrant feel of energy through your palsm. What are the meanings of these sensations? When you feel warmth in your palsm it is a indication that the energy is alright in that part of the body. When you feel cold, it suggests more energy to be passed on to the receiverrrrr. Tingling sensation often means release of any negative enragy in that part of the body. Most of the times you intuitively know when to move to the next body part. follow your guidance and intuition, while applying Reiki. You may also feel the existence of higher vibrations like angels, archangels, devas and so on. It is quite common, that when you practice Reiki, automatically you get guidance from higher realms. this happens because you pratice reiki on third eye chakra and ear chakras, which are closely related to th higher realms. Additioanly you can ask for guidance from Angels, archangels to heal a situation. They always help u by guiding you and helping u in your reiki sessions. So always remember that once your are attuned, Reiki will flow from your palms without any disturbace. 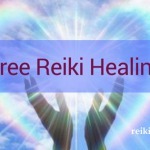 Daily practice of Reiki helps you clear your blockages and freely flow through you.